Fatigue. Weight issues. Poor Digestion. Gas. Diarrhea. Headaches. Heart Palpitations. Brain Fog. Heartburn. Acid Reflux. Bloating. Poor Sleep. Congestion. Infertility. Leg Cramps. Low Adrenals.Low Thyroid and many others. Many of these health issues can be eliminated with natural, God-given methods. Nutritional Therapy - What is a Nutritional Therapy Practitioner? An NTP practice’s a foundational approach to holistic nutrition that utilizes a unique set of tools for identifying individual nutritional deficiencies. Imbalances are addressed through diet, nutritional supplements and lifestyle changes tailored for your biochemical individuality. • A profound respect for the teachings of the nutritional pioneers; pioneering greats such as Dr. Weston A. Price, Dr. Francis A. Pottenger, and Dr. Royal Lee- some of the greatest scientific minds ever to research nutrition, food and its effects on modern society. • A commitment to the concept of biochemical individuality. Our genetic and geographical makeup can determine our unique nutritional needs. • The belief that within each of us lies an innate intelligence that guides us. What is a Nutritional Therapist’s Philosophy? An NTP understands that the health problems that plaque our current society are a result of weaknesses in the bodies physiological foundations as a result of poor nutrition. An NTP is dedicated to helping individuals understand and reverse the tragic and unsuspected effects of the modern diet. Quantum Reflex Analysis - What is Quantum Reflex Analysis (QRA)? QRA a testing method that stands heads above others in its ability to reveal what your body needs. It’s a simple & yet profoundly effective system of testing the bio-energetic status of the body’s key organs and glands using a university-proven muscle testing technique on medically accepted acupuncture reflex points. The procedure taps into the wisdom of the body telling the practitioner what treatment is needed to create balance, strength and well-being. It’s non-invasive and non-toxic to the body so there’s no pain. Diane Christopher, NTP is a 2010 graduate of the Nutritional Therapy Association and an advanced Quantum Reflex Analysis Practitioner. 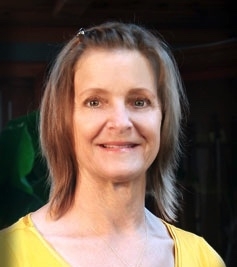 After a long and difficult, but successful battle against Acute Lymphoblastic Leukemia (ALL), Diane is passionate in sharing her nutritional knowledge to others who are seeking natural, God-given methods to obtain optimal vibrant health! As a Nutritional Therapy Practitioner, I understand that the health problems that plague our current society are a result of weaknesses in the bodies physiological foundations as a result of poor nutrition. I am dedicated to helping individuals understand and reverse the tragic and unsuspected effects of the modern diet. Through individual consultations or group nutrition classes, each client is taught how to eat healthy, how food can be used as medicine, and how the inner workings of the body are affected by what is put into it. If this sounds like what you are looking for, I welcome you to contact me and begin your journey toward optimal health.